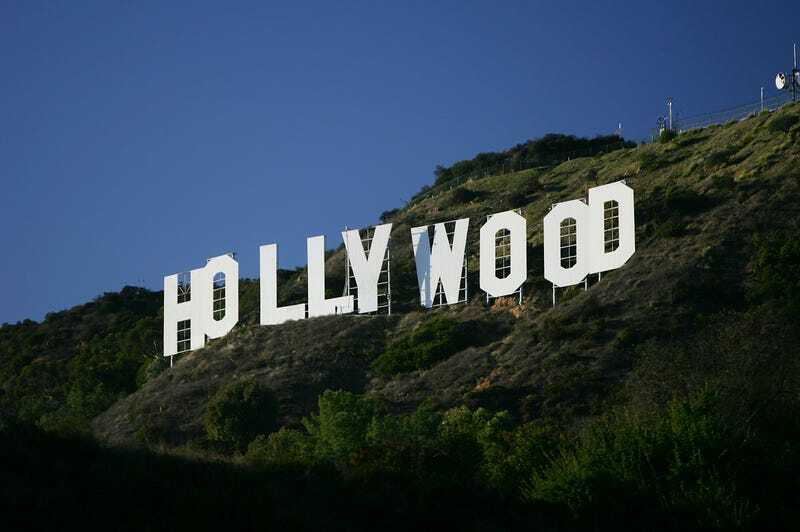 The “Hollywood” sign is seen in Los Angeles in 2005. A creative prankster changed the iconic ”Hollywood” sign over Los Angeles by manipulating it to read "Hollyweed," CNN reports. The vandal used tarps to change the O’s in the sign to E’s. He (police think the perpetrator is probably a man) was caught on security-camera footage between midnight and 2 a.m. local time Sunday, but police reportedly can’t tell his race or height because it was rainy. There's a road accessible to the public by foot and car behind the sign, and sensors on the sign are implanted only in certain areas of the letters, so it’s possible to avoid them. Vandals have altered the sign several times over the years, as one Twitter noted. The sign is definitely apropos, though. In November, Californians legalized marijuana for recreational use for those age 21 and over, becoming the most populous U.S. state to legalize the sticky icky.